This is a section of the view shown on the Manchester Road page. 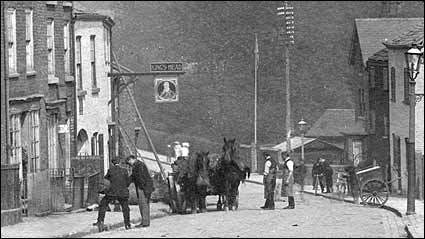 There appears to be some building work on at the pub. This is zoomed in even further. 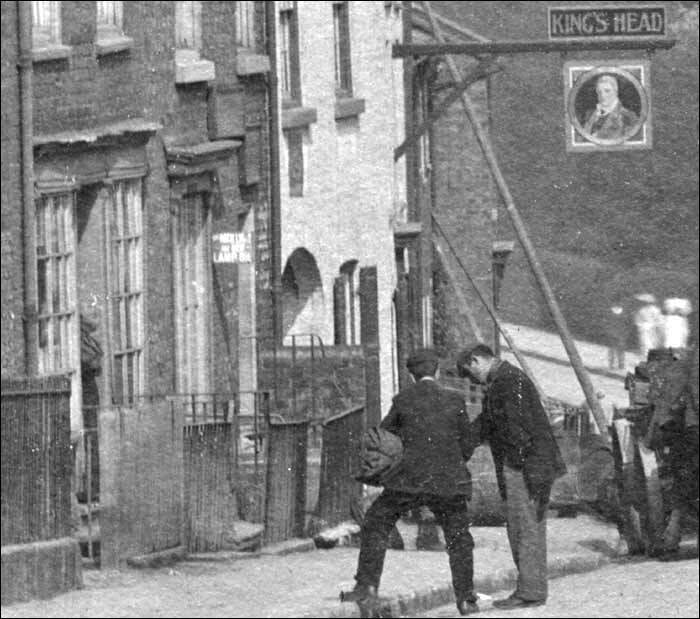 You can now see a shawl-clad woman in a doorway watching the workmen; the next house is a shop selling lamp oil and beyond that is the pub-named the King's Head in 1907 - now it's the King William. Presumably the picture is still that of King William? Click here to return to the Manchester Road page.